Once upon a time the Green Bay Packers traveled to play a young team led by Pete Carroll on a Monday night in week 3 of 2012. That game ended in a debated Hail Mary that dominated the headlines the following morning. 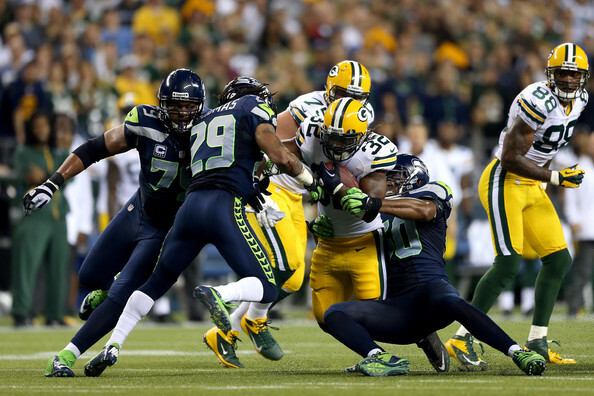 What Packer fans and pundits forgot was the fact the Seahawk defense chased Aaron Rodgers out of Qwest Field. They sacked him 8 times in the game with 7 of those coming in the first half. In that game Rodgers never adjusted to the noise and neither has the rest of the league. Since that game the Seahawks are 21-1 over nearly 2 seasons since the “Fail Mary.” Seattle joined the league’s elite where the Packers slipped to the 2nd tier of playoff teams. Last year they made the playoffs with an 8-7-1 record and that isn’t elite. Can Green Bay crack the Seattle defense on the road? Did you know the Green Bay Packers are 8-7 on the road since that game?? Ooops make that 8-8 on the road if you include the “Fail Mary” game. Well….upon further review, if we include the 2012 playoff loss to the 49ers they are 8-9 on the road. Now they have to go in to play a team returning 11 of 12 starters on a defense that had one of the best seasons in NFL history and win?? 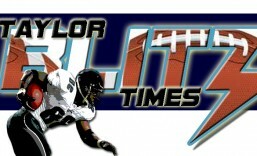 On a night where the 12th man will be rowdy as they raise their first ever league championship banner?? 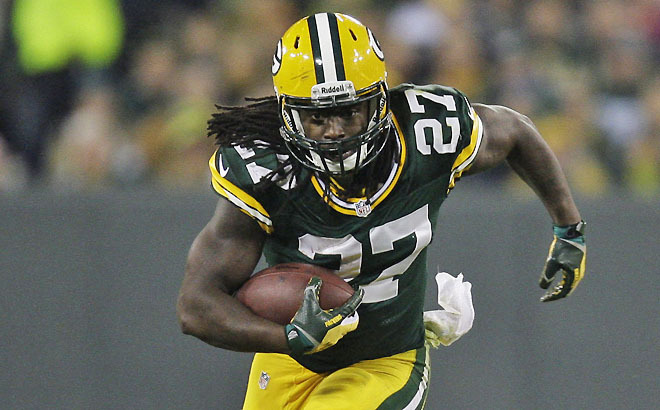 The key to the Packers winning is Eddie Lacy running right at the Seahawk defense. Only one way for the Pack to pull off a stunner… They have to run Eddie Lacy at the Packers on direct power running plays. Screens and trickery won’t work against the Seahawks since they rarely blitz. If the Packers try these plays the Seahawk defenders will beat Green Bay blockers to the point out in space. Another factor is the history of Pete Carroll coached teams in big games. Aaron Rodgers will struggle with this pass rush and secondary tonight. Green Bay’s receivers can win mismatches against an average secondary. Not this one…and not when they are healthy. The other is Packer coach Mike McCarthy who has a penchant for abandoning the running game. Tonight is the night he has to coach against those tendencies and he won’t do it. He wants to showcase his quarterback and this is looking like a shutout to The Chancellor of Football. 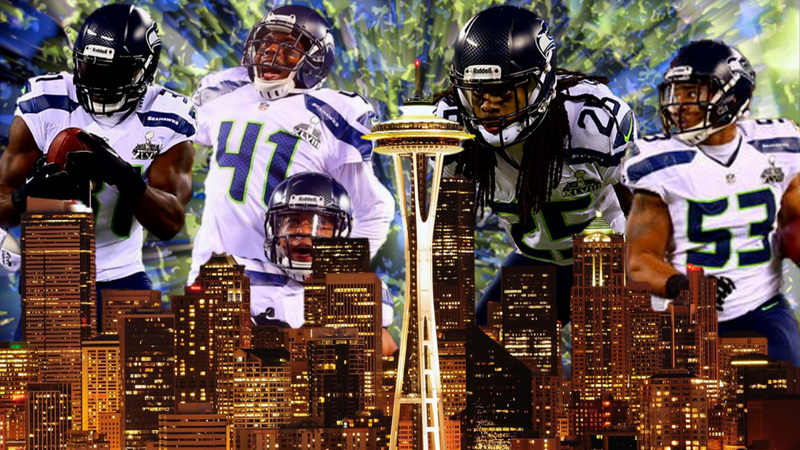 Tonight 29-0 as Seattle is on their way to defending their Super Bowl championship. This entry was posted in 2014 NFL Regular Season and tagged Aaron Rodgers, Eddie Lacy, Green Bay Packers, Marshawn Lynch, Mike McCarthy, Pete Carroll, Richard Sherman, Seattle Seahawks. Bookmark the permalink. it will be interesting to see if the new enforcement on no contact/defensive holding affects the outcome. Yeah… I think the refs will be scared to throw the flag being the only game on.